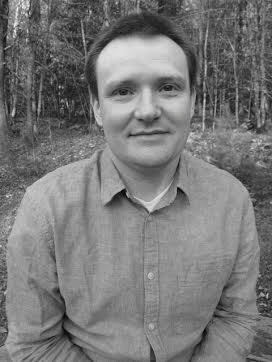 Corey D. Cook's fifth chapbook, The Weight of Shadows, was released by Finishing Line Press in 2019. "In Corey D. Cook’s startling and haunting poems, we enter a world where the weight of shadows, stitched into our bodies through longing and loss, wakes us into the world of the living. It is the shadows cast upon the legacy of a woman suffering memory loss that are so indistinct they could only belong to strangers; or the shadows that consume the heart after the stillborn birth of a child. Through the power of story crafted with an experienced hand and keen eye, The Weight of Shadows opens the darkness to reveal the resiliency of the tender spaces in our human lives." "Many of these poems relate very difficult stories and explore challenging subjects, but far from weighing down his readers, Corey Cook shines light on those dark moments with courage, sensitivity, and skill. I feel greatly heartened by his willingness to do such hard emotional work, so successfully, in this fine collection." "Corey Cook writes in a conversational tone and gets to the point without wasting words. You might think it’s an easy style, yet he always finds a line to stop you in your tracks, to knock the wind out of you, and to feel you must read the poem straight through again. Like waves that tumble shards of glass in their surf: 'Waves that will soften / their sharp edges… // Transform them into / things to hold on to / Things to cherish,' his poems leave you with something to think about, something to keep and show to others." Corey's other chapbooks are: Rhododendron in a Time of War (Scars Publications), What to Do with a Dying Parakeet (Pudding House Publications), Flock (Origami Poems Project) and White Flag Raised (Kattywompus Press). His work has appeared or is forthcoming in After the Pause, the Aurorean, Ballard Street Poetry Journal, Brevities, Chiron Review, Columbia College Literary Review, Dewpoint Literary Journal, Dime Show Review, East Coast Literary Review, Entelechy International, Freshwater, The Henniker Review, Ibbetson Street, Lilliput Review, Loch Raven Review, Lummox, Muddy River Poetry Review, Northern Cardinal Review, Northern New England Review, The Pangolin Review, Pearl, Red River Review, Rusty Truck, The Somerville News, and Wild Goose Poetry Review. Corey edited The Orange Room Review with his wife, Rachael, for eight years (2006-2014). He works at a hospital in New Hampshire and lives in Vermont. "The Orange Room Review" makes me smile--every time I see a nice, bright, rich piece of orange in a design or photo, I think of my Vermont family!! Nice bio and site--congratulations! Do you nominate for the awards (Best of the Net, Best New Poets, Pushcarts, etc.)? Not currently, but I may in the future... Thanks for your question.